Whether you are visiting for the day or just stopping off for a cuppa, we encourage muddy wellies and dirty paws from dogs, walkers & cyclists and you will receive a warm welcome in the Stables Tea Room and Gift Shop (free admission). 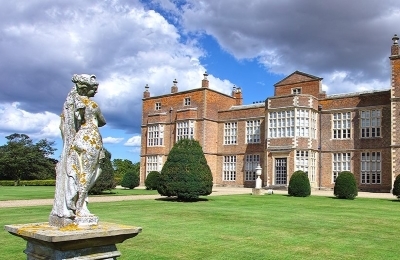 Burton Constable is located only a few short miles from Route 65 of the Trans Pennine Trail, straight out of Hull City Centre - a flat scenic trail that is great for families. This cycle map includes rides suitable for a range of abilities, from novice riders to those looking for a more challenging route. 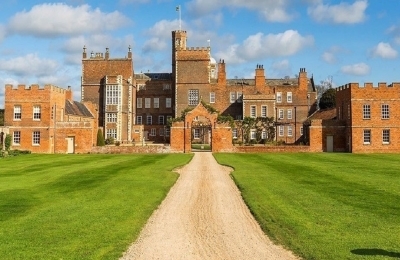 Most of the rides run along quiet roads, or the Hornsea Rail Trail and take in some of the picturesque local scenery via local attractions including Burton Constable Hall and Hornsea Mere. This map will be available free of charge from local outlets and will be published on the Councils website, and compliments similar maps already produced for other areas in the East Riding including South Holderness, Bridlington, Pocklington, Goole, Driffield and Beverley. Other Sources: To plan your journey by bicycle or on foot visit the Sustrans website - a charity that makes it easier for people to walk and cycle. Storage: A covered cycle shed is located in the main visitor car park or you can choose to bring your bicycle with you into our lovely grounds. 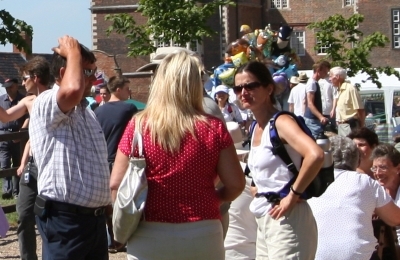 Large groups of cyclists are welcome to chain their bicycles along the fence outside the Stables Tea Room.